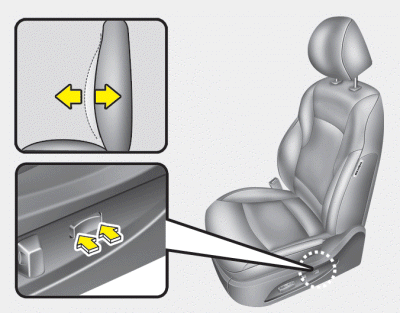 The front seat can be adjusted by using the control switch located on the outside of the seat cushion. Before driving, adjust the seat to the proper position so as to easily control the steering wheel, pedals and switches on the instrument panel. 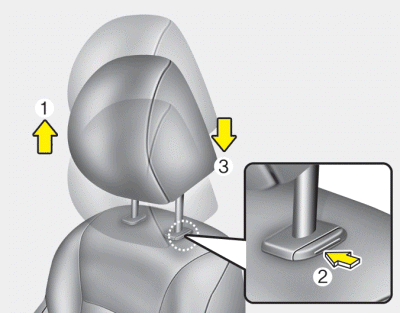 When in operation, the power seat consumes a large amount of electrical power. 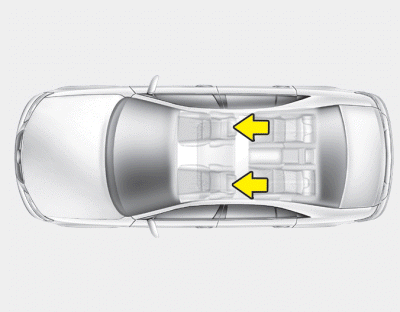 To prevent unnecessary charging system drain, do not adjust the power seat longer than necessary while the engine is not running. 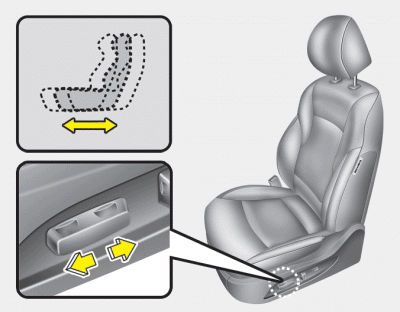 Push the control switch forward or rearward to move the seat to the desired position. Release the switch once the seat reaches the desired position. 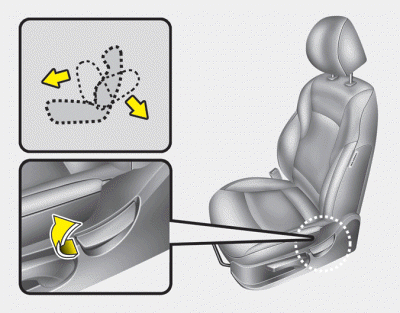 Pull the front portion of the control switch up to raise or push down to lower the front part of the seat cushion. 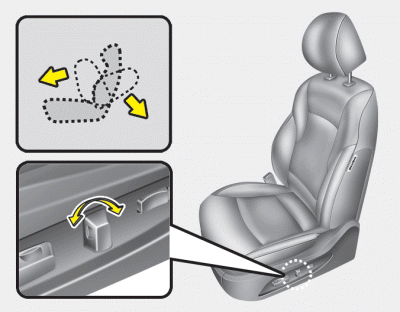 Pull the rear portion of the control switch up to raise or push down to lower the rear part of the seat cushion. Release the switch once the seat reaches the desired position. 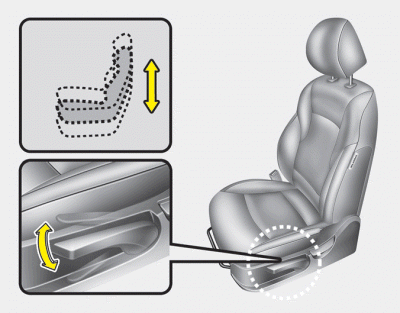 Push the upper part of the switch forward or rearward to move the seatback to the desired angle. Release the switch once the seat reaches the desired position. 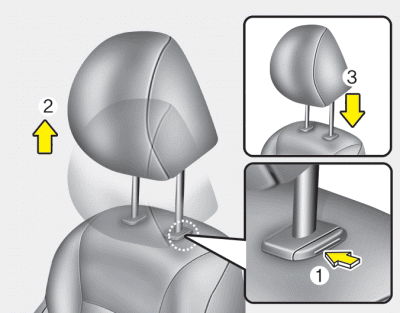 The active headrest is designed to move forward and upward during a rear impact. 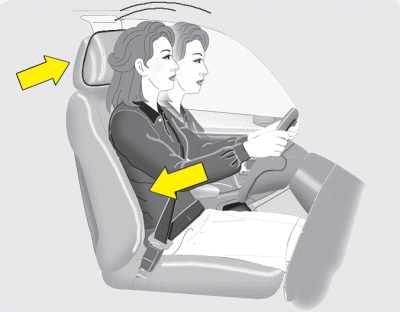 This helps to prevent the driver's and front passenger’s head from moving rearward and thus helps prevent neck injuries. 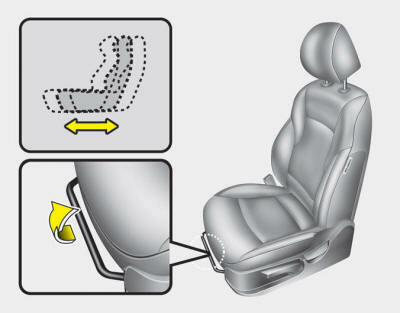 A gap between the seat and the headrest release button may appear when seating on the seat or when you push or pull the seat. Be careful not to get your finger, etc. caught in the gap. 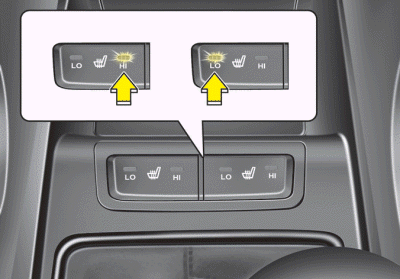 The seat warmer is provided to warm the front seats during cold weather. With the ignition switch in the ON position, push either of the switches to warm the driver's seat or the front passenger's seat. 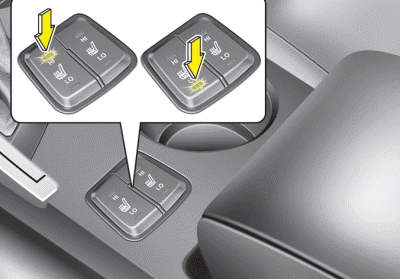 With the seat warmer switch in the LO or HI position, the heating system in the seat turns on or off automatically depending on the seat temperature. 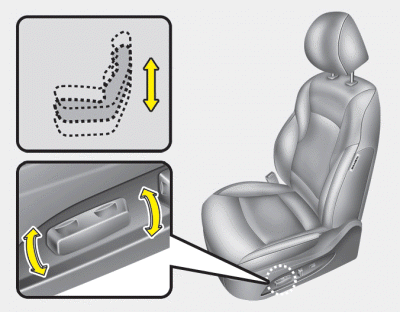 To prevent overheating the seat warmer, do not place anything on the seats that insulates against heat, such as blankets, cushions or seat covers on the seats while the seat warmer is in operation. 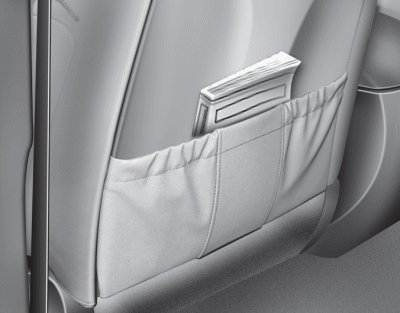 The seatback pocket is provided on the back of the front passenger’s and driver’s seatbacks.